There is a 14-day cancellation policy. In the unlikely event you must cancel your reservation, you must cancel a minimum of 14 days prior to your check-in date to avoid penalty of your full amount of reservation/stay being charged. We will charge your card one night room and tax at time of booking. The remaining balance will be charged at time of check in. In the unlikely event that you shorten your stay or check out early, you will be responsible for your entire stay. A 30 day cancellation notice is required on multiple room bookings, whole house bookings, and for some holidays and special events. A $19 resort fee is charged nightly and includes: Bike rental, continental breakfast, parking, wifi, bottled water, and Happy hour. Multiple room bookings (4 or more), whole house bookings, and special events (Modernism, BNP Paribas, Coachella and Stagecoach) require a 50% NON REFUNDABLE deposit at time of booking, and the balance will be charged 30 days prior to your arrival date and is non-refundable, non- transferable. 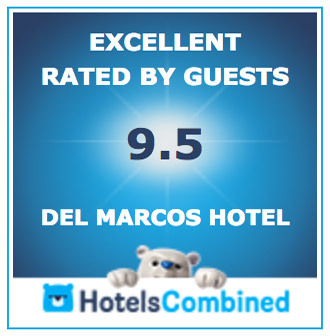 Our rooms accommodate a maximum of two people. Small dogs (35 lbs. and under) are welcome in specified rooms with a $60.00 cleaning fee. A maximum of two dogs per room. Dogs must be kept on a leash at all times and are not allowed in common areas, including the lobby and pool area. Guests bringing dogs into non-dog friendly rooms are subject to a $200.00 fee and are at the risk of losing their reservation without refund. Our hotel is an “ADULT ONLY” property. Swimming pool closes @ 11:00 PM. No smoking on premises. “A $500 fine will be assessed for smoking in the guest room or on the premises”. No music poolside other than that provided by the hotel. Cell phone conversations in the pool area are not allowed. Texting or playing games, devices must be silenced. the pool area for more than 20 minutes will be collected and placed in storage. No outside floatation devices. We have several mats for guests use. No unregistered guests are allowed at any time on the property. A $200.00 fee will be assessed each day per guest. No exceptions to this policy will be allowed. Replacement fees for lost keys are $25. No glassware in the pool area. Check-in: 3:00 PM – 8:00 PM. If arriving outside of check-in times, please call to make arrangements. Housekeeping services stayover rooms daily until 1pm.